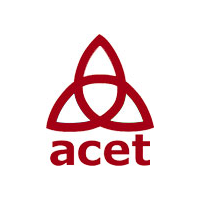 ACET (Northern Ireland) Limited is a provider of Health Education & Training on the combined issues of Sexual Health, Drugs & Alcohol, and Parent/Teen Communication Skills. ACET aims to promote healthy choices and reduce the spread of HIV & STIs, and rates of Teenage Pregnancy, Drug & Alcohol Misuse. ACET’s Health Education & Training Services are targeted to the needs of the most at risk groups, disadvantaged young people and marginalised adults. More than 170,000 young people and adults have accessed ACET’s services to date. ACET works on a best practise basis following a Comprehensive approach to the provision of community based Health Education & Training. ACET’s Health Education & Training Services are in line with the government of Northern Ireland’s Strategic Plans for the promotion of health and wellbeing on sexual health, parenting and drugs and alcohol issues. ACET gathers evaluation feedback from all service users and as a result has a highly developed evidence base for the effectiveness of our Health Education & Training Services. ACET also operates a Care Project for local teenagers affected by HIV and for children and families overseas affected by HIV and addiction issues. ACET’s Care Project is funded by a range of private sector grants and personal donations..